Commission at work. 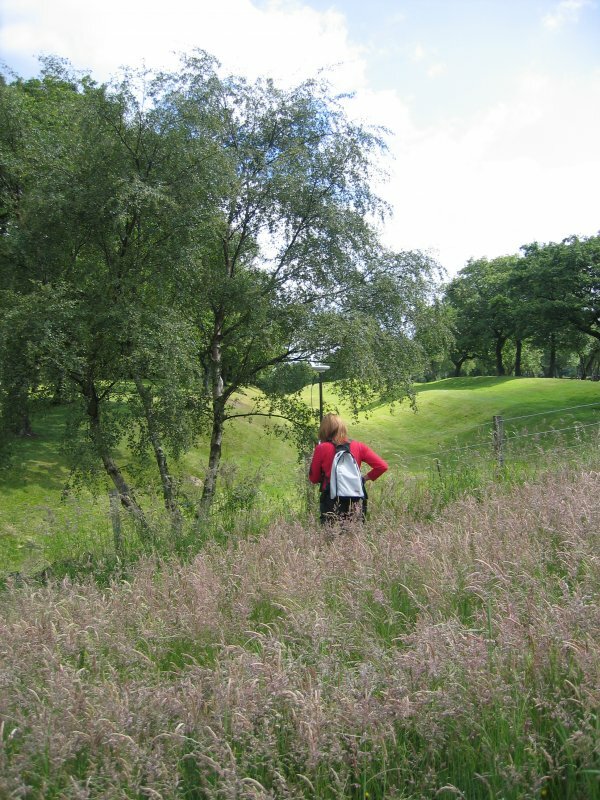 Ms G Brown surveying at Seabegs Wood on the Antonine Wall. 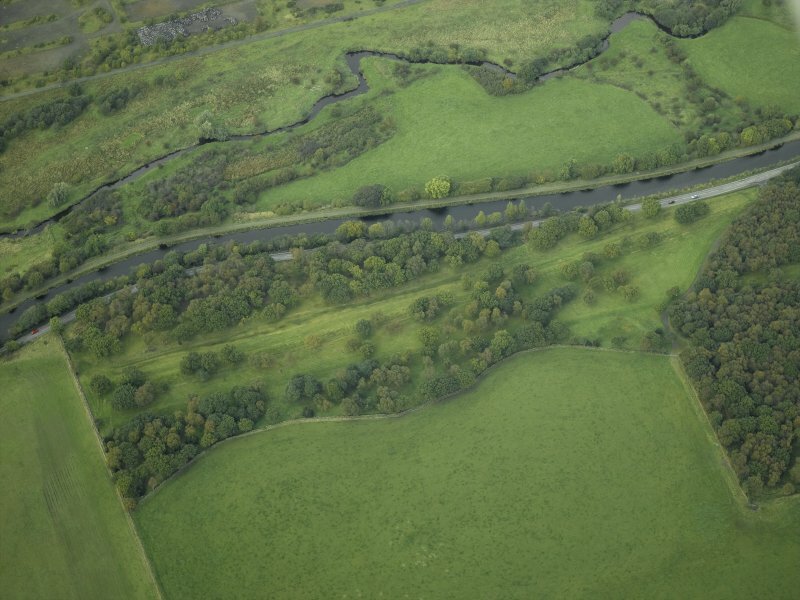 Aerial view of the Antonine Wall (c. 814 794) and Seabegs Wood fortlet, taken from the NE. 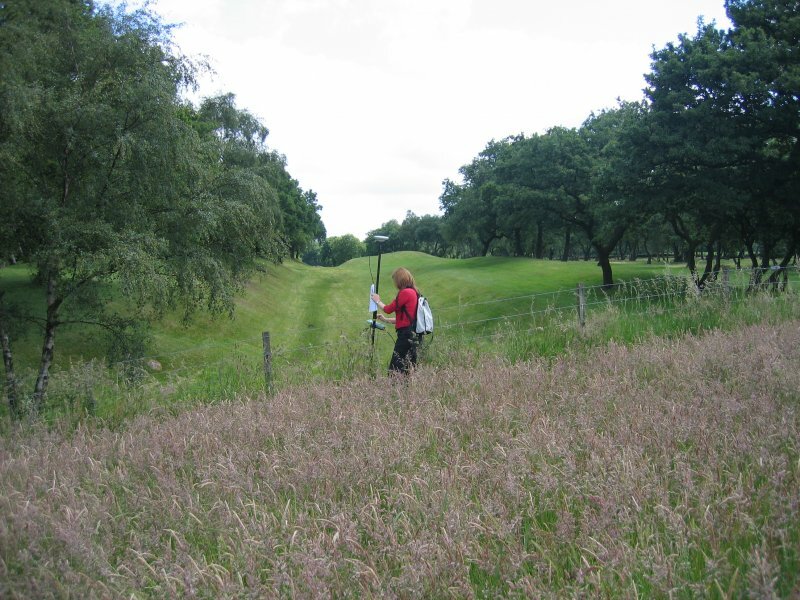 Ms G Brown from RCAHMS surveying at Seabegs Wood Roman Fortlet on the Antonine Wall. 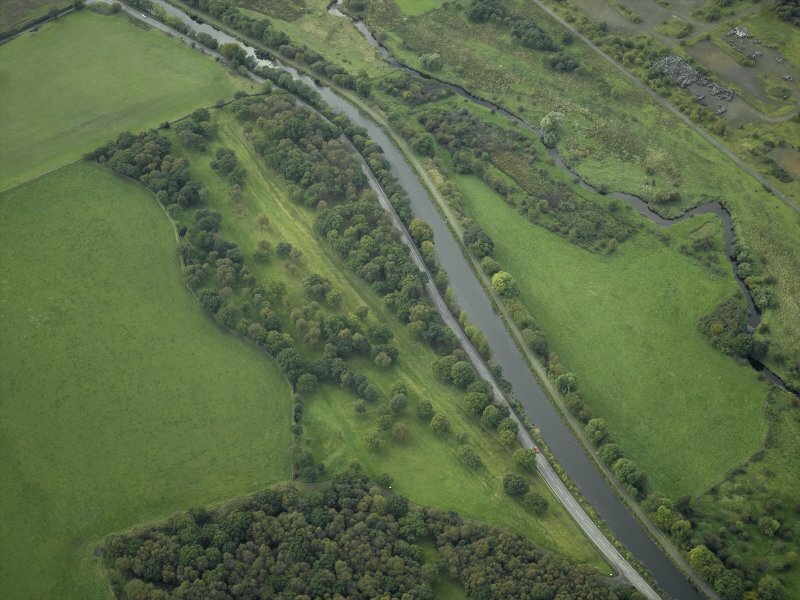 Oblique aerial view centred on the site of the Roman fortlet and the course of the Antonine Wall and the Military Way with the canal and aqueduct adjacent, taken from the WNW. 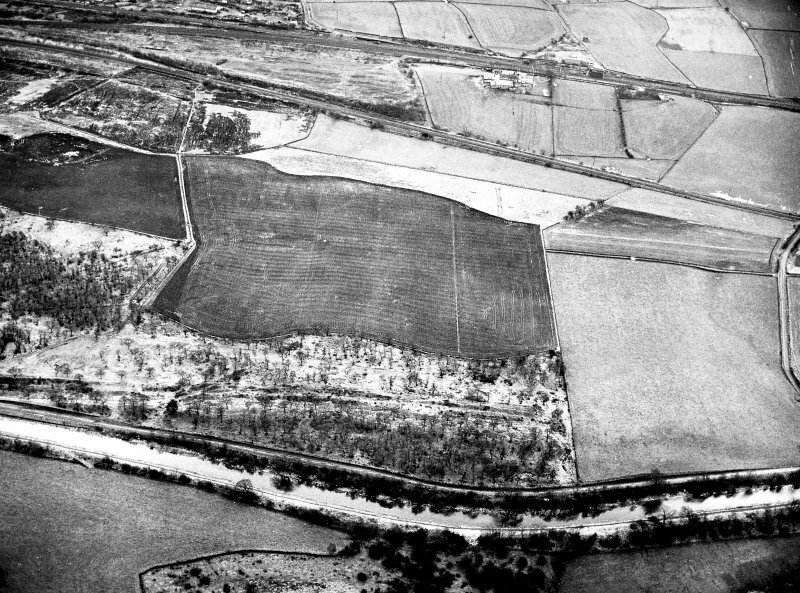 Oblique aerial view of the Antonine Wall and the site of the fortlet at Seabegs Wood from the east, centred c. NS 8139 7931. 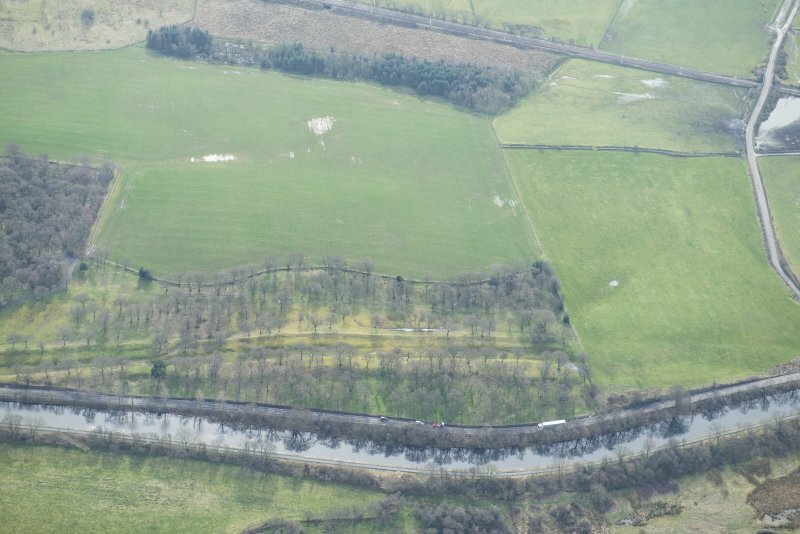 Aerial view of the Antonine Wall and site of the fortlet at Seabegs Wood from the south, centred c. NS 8113 7921. 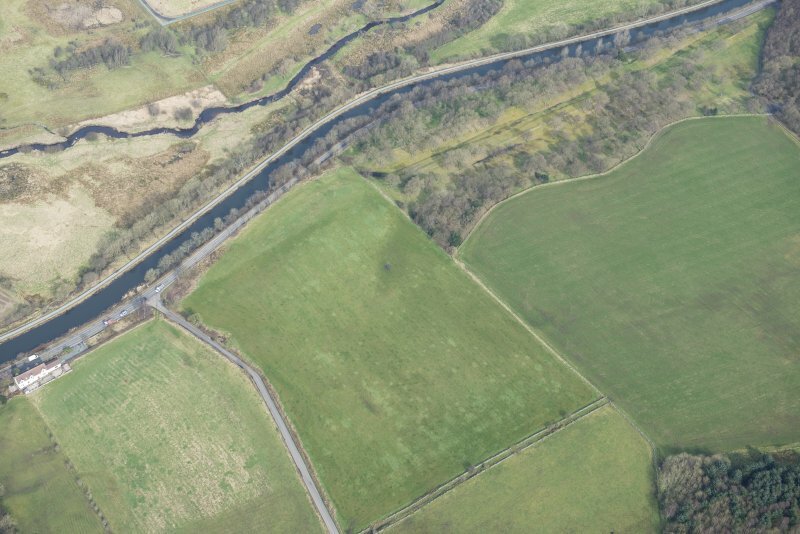 General oblique aerial view centred on the site of the Roman fortlet and the course of the Antonine Wall and the Military Way with the canal and aqueduct adjacent, taken from the SSW. 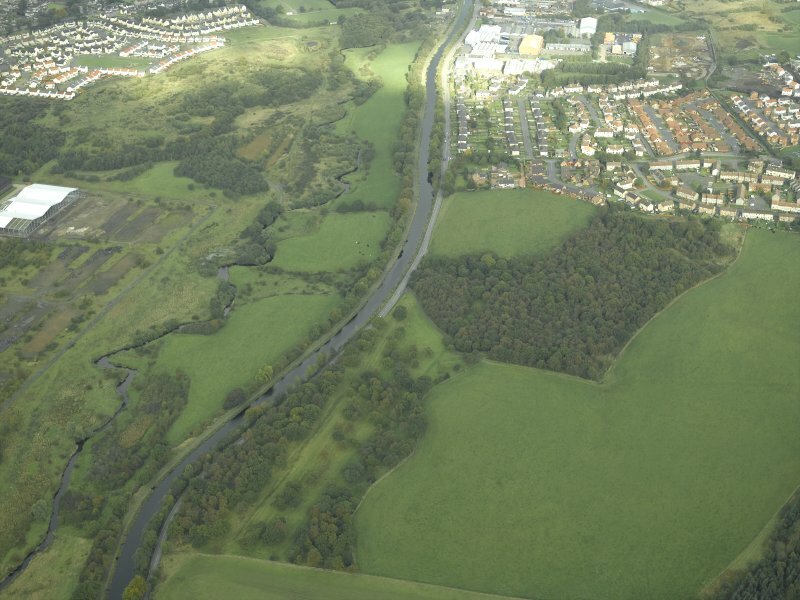 Oblique aerial view centred on the site of the Roman fortlet and the course of the Antonine Wall and the Military Way with the canal and aqueduct adjacent, taken from the S.
Oblique aerial view centred on the site of the Roman fortlet and the course of the Antonine Wall and the Military Way with the canal and aqueduct adjacent, taken from the W.
Oblique aerial view of the Antonine Wall and site of the fortlet at Seabegs Wood from the north, centred c. NS 8126 7927. 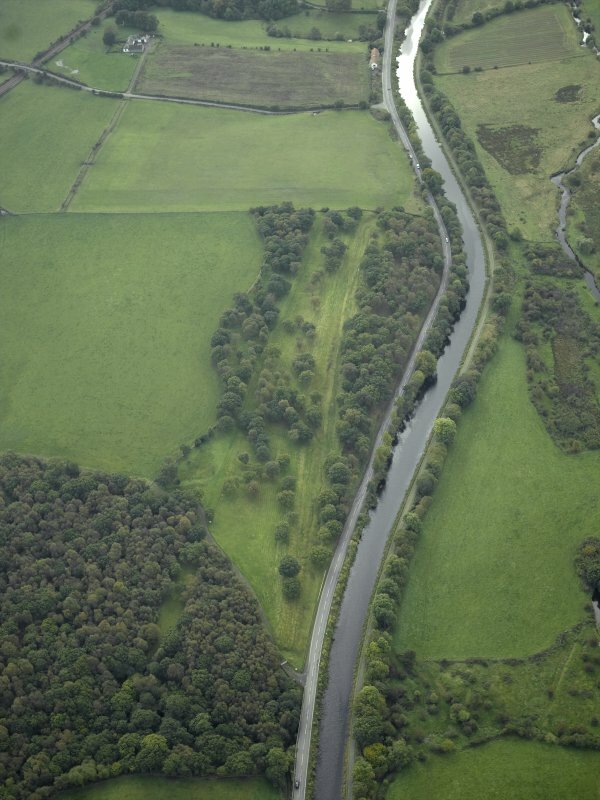 Aerial view of the Antonine Wall and the site of the fortlet at Seabegs Wood from the north, centred c. NS 8118 7924. 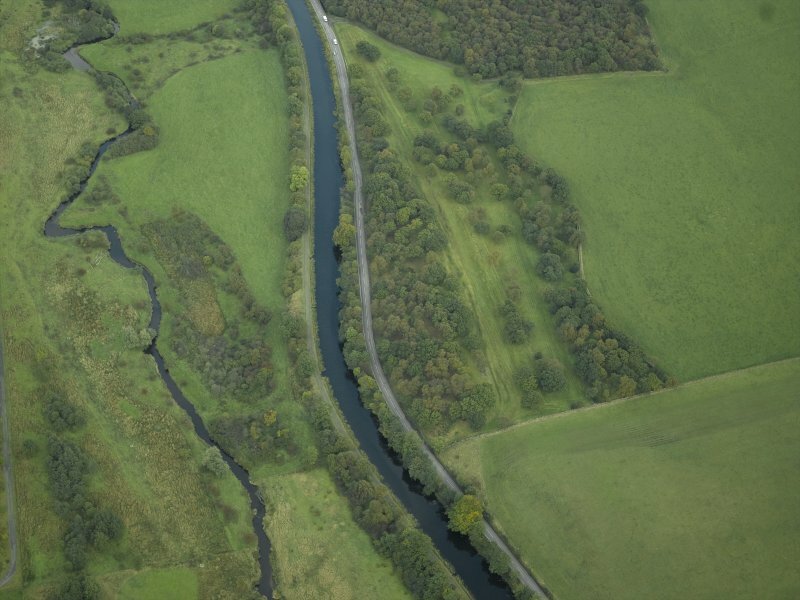 General oblique aerial view centred on the site of the Roman fortlet and the course of the Antonine Wall and the Military Way with the canal and aqueduct adjacent, taken from the SW.
Oblique aerial view of the Antonine Wall (c. 814 794) and Seabegs fortlet, taken from the NE. 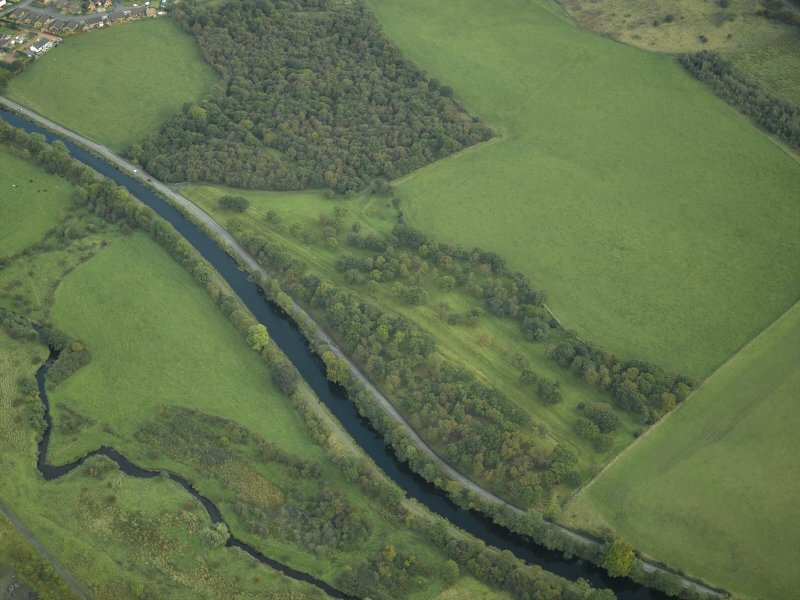 Aerial view of the Antonine Wall (c. 814 794) and Seabegs Wood fortlet, taken from the E.
Oblique aerial view centred on the site of the Roman fortlet and the course of the Antonine Wall and the Military Way with the canal and aqueduct adjacent, taken from the NE. 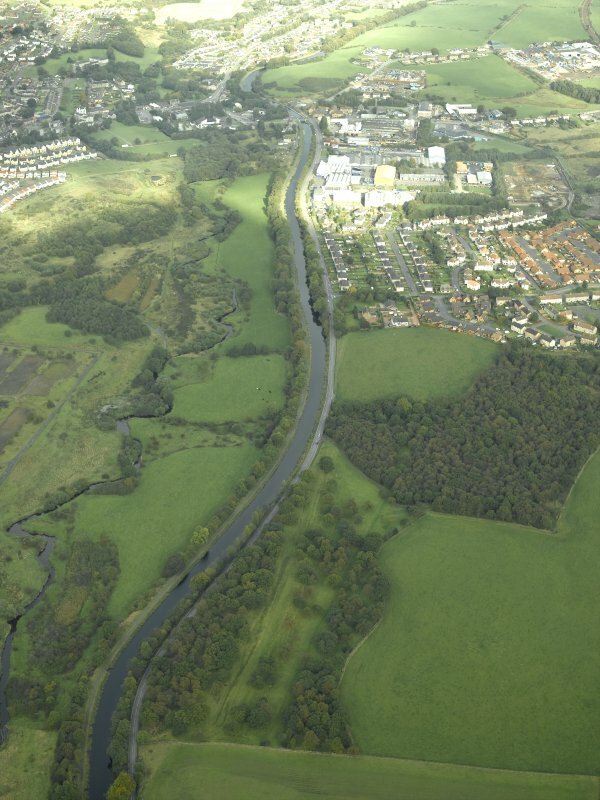 Oblique aerial view centred on the site of the Roman fortlet and the course of the Antonine Wall and the Military Way with the canal and aqueduct adjacent, taken from the E.
NS 812 792. 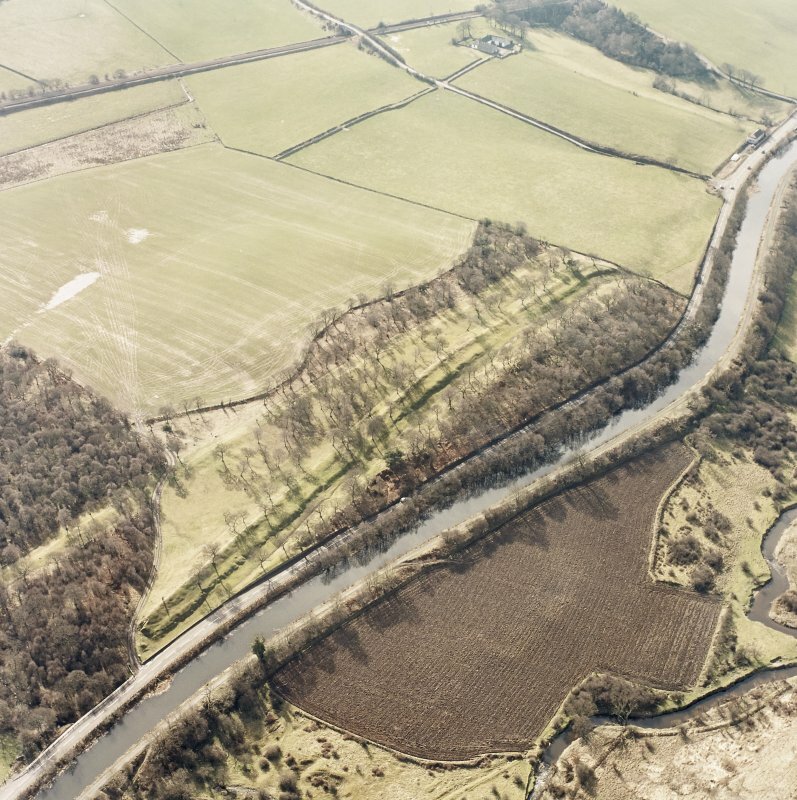 A Roman fortlet attached to the Antonine Wall was discovered in June 1977 on the farm of Dalnair, at the west end of Seabegs Wood, in a field from which numerous fragments of Roman pottery have been recovered in recent years. The Antonine Wall makes a northward detour to include the plateau on which the fortlet is set, and itself forms the north rampart. 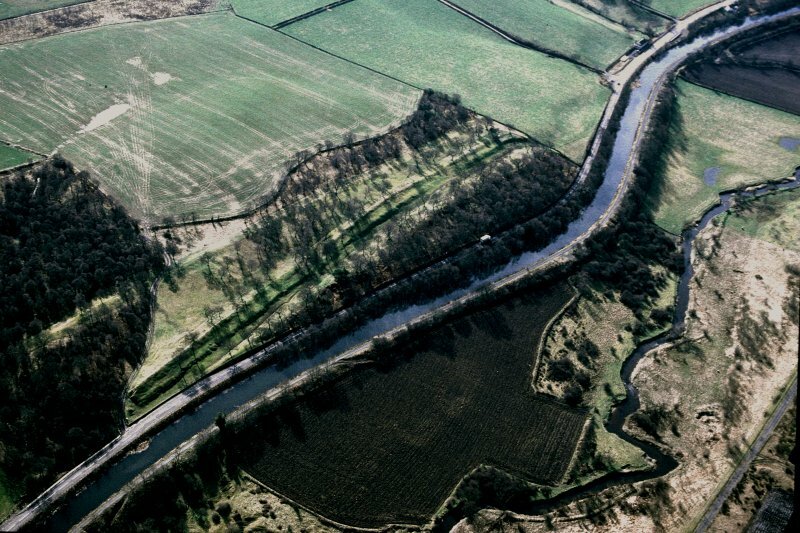 The excavation, carried out under the auspices of the Hunterian Museum, revealed that the fortlet measured 21.8m N-S by 18m E-W internally and was defended by a rampart set on a stone base 3m wide and by two ditches. Parts of the east and south rampart base had been removed by ploughing. Examination of the NE and NW corners of the fortlet established that it and the Wall were of one build. 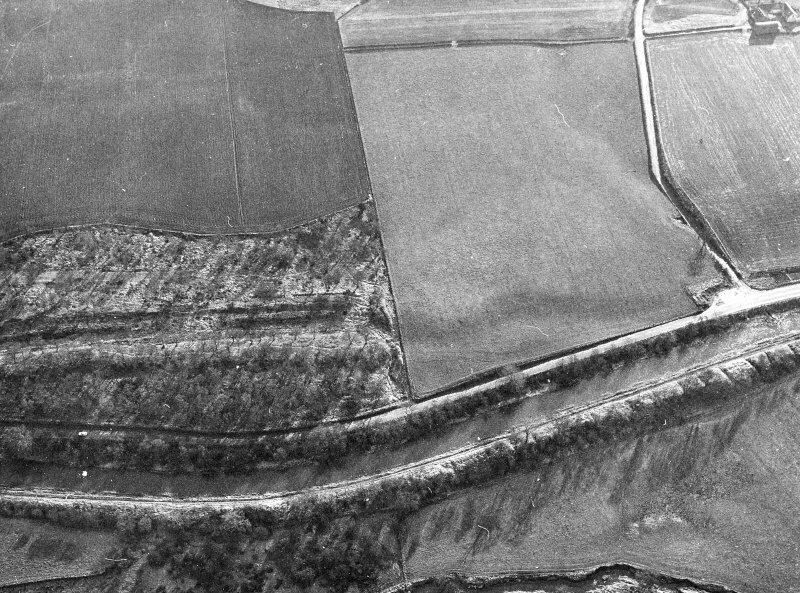 The ditches on the east side were identified as being 3m (inner) and 1.6m wide, but they merged together and terminated close to the SE corner of the fortlet. The western ditches are assumed to have done the same. 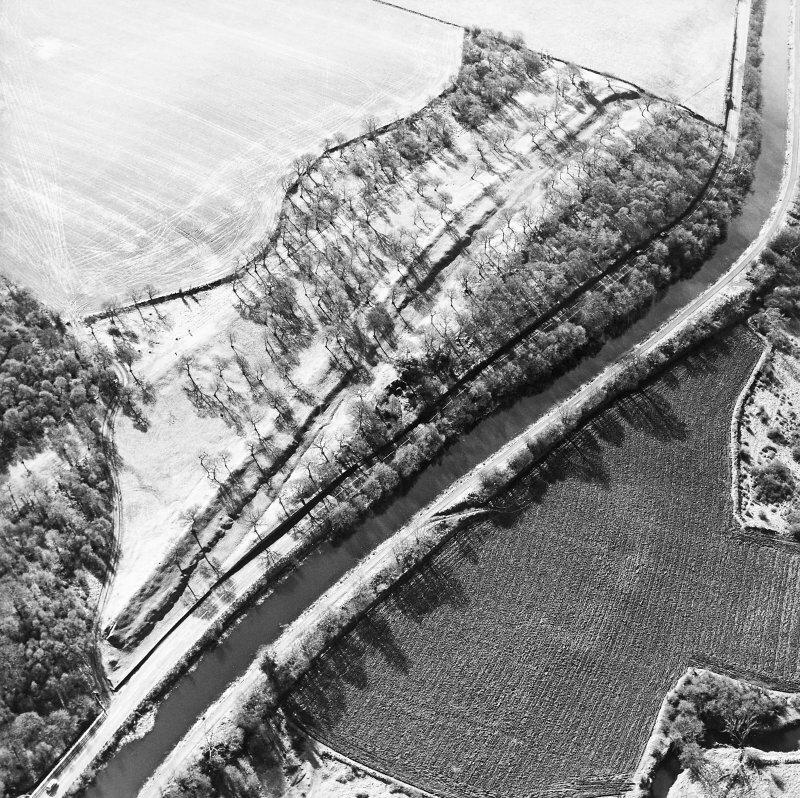 The lack of cover for the south rampart may be ascribed to the proximity of the Military Way, whose presumed line was sectioned as it emerged from Seabegs Wood. Only scattered cobbles and a possible drainage ditch were observed. There were gateways in both the north and south walls of the fortlet, each 3m wide and flanked by post holes. 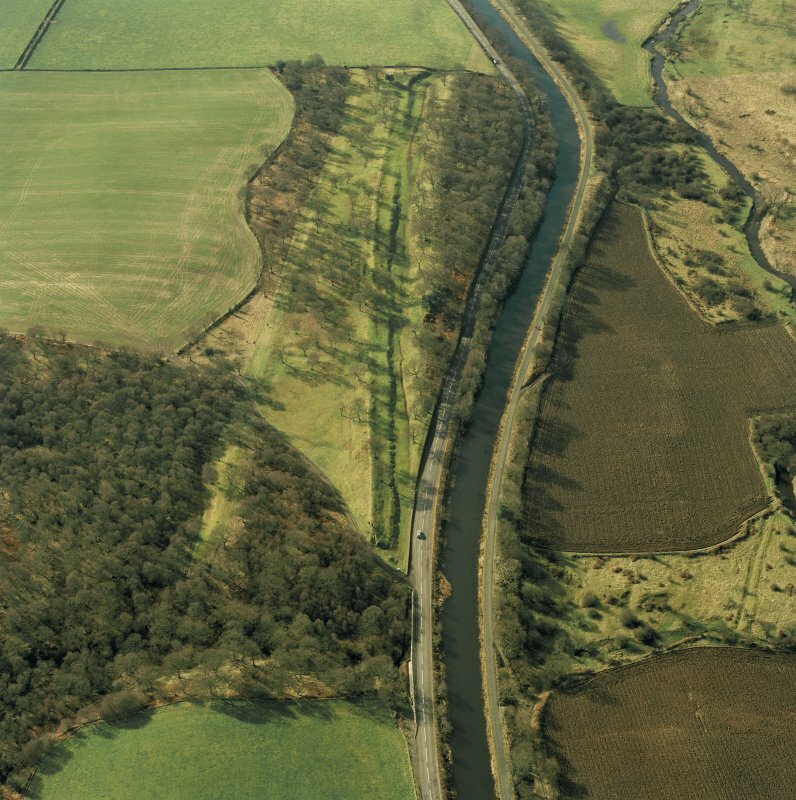 A roadway of rammed pebbles and small stones passed through the south gate to join the Military Way, and a similar road passed through the north gate, but examination failed to reveal evidence of its having crossed the Antonine Wall ditch. 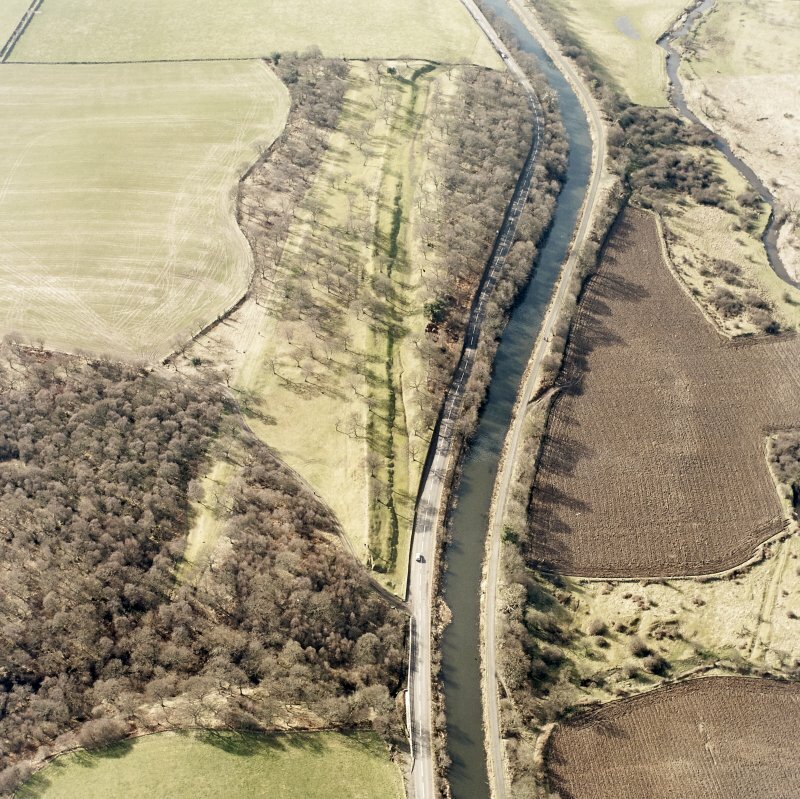 There was evidence of a second phase of occupation which involved changes which may have included the blocking of the north gate, but there was no evidence of re-cutting of the ditches. The interior of the fortlet was not examined. L J F Keppie and J J Walker 1977; 1979; R Goodburn 1978. NS 812 792. Further small finds from this fortlet include numerous pottery sherds and ten red-clay gaming balls. NS 8116 7921. 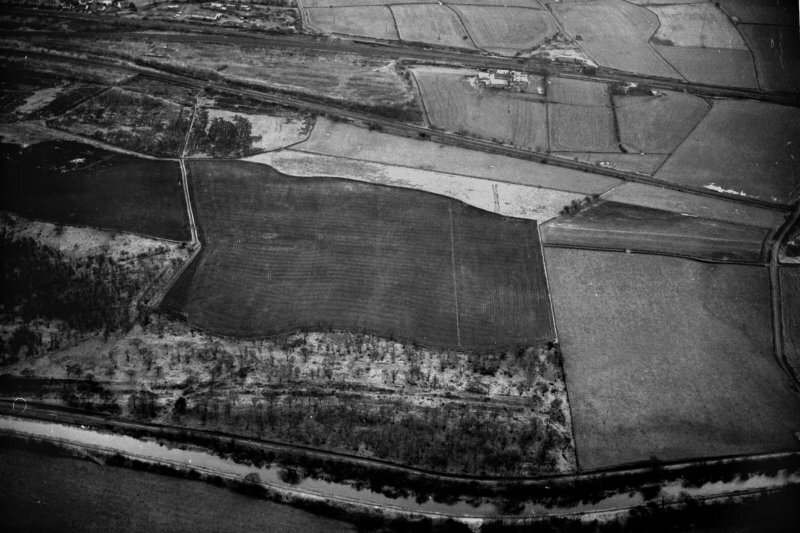 There is no surface evidence of this fortlet in an arable field. Visited by OS (MJF) 24 May 1980. NS 815 793 A watching brief was undertaken in March 2001 during minor excavations within the Scheduled area of the Antonine Wall, just to the E of Seabegs Roman fort, just to the S of the military way. This small-scale excavation revealed nothing of archaeological significance. NS 8118 7924 Archaeological monitoring was undertaken in March 2003 during excavations intended to improve drainage of the ditch at the W end of the well-preserved section of the Antonine Wall. No features or finds of archaeological significance were uncovered. Archive to be deposited in the NMRS. 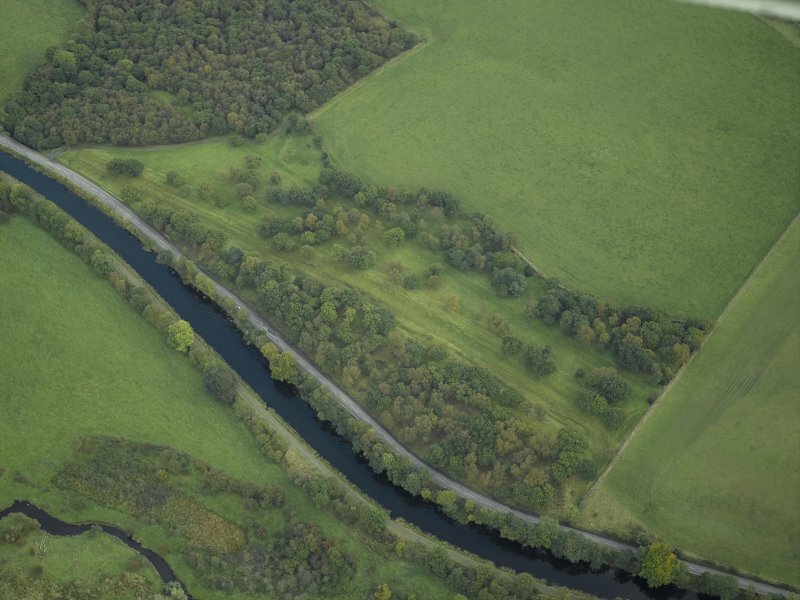 The length of the Antonine Wall (NS87NW 32.00) between Dalnair and Seabegs Wood [NS 8095 7908 to NS 8118 7922] has been scheduled, together with Dalnair temporary camp (NS87NW 9) and Seabegs fortlet (NS87NW 10). Information from Historic Scotland, scheduling document dated 10 February 2005. NS 812 792. 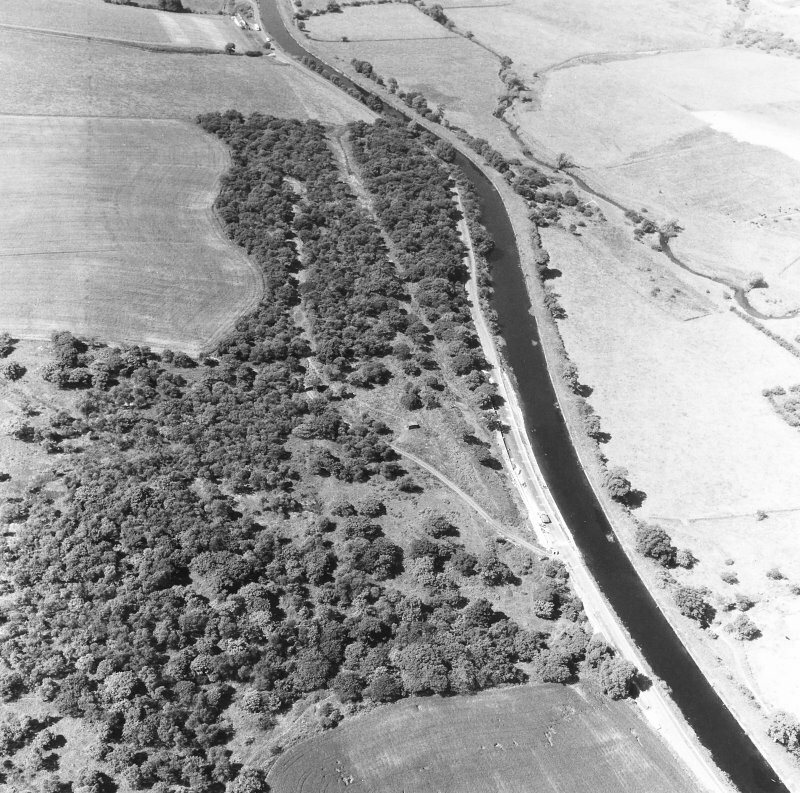 A Roman fortlet attached to the Antonine Wall was discovered in June 1977 on the farm of Dalnair, at the west end of Seabegs Wood, in a field from which numerous fragments of Roman pottery have been recovered in recent years. The Antonine Wall makes a northward detour to include the plateau on which the fortlet is set, and itself forms the north rampart. 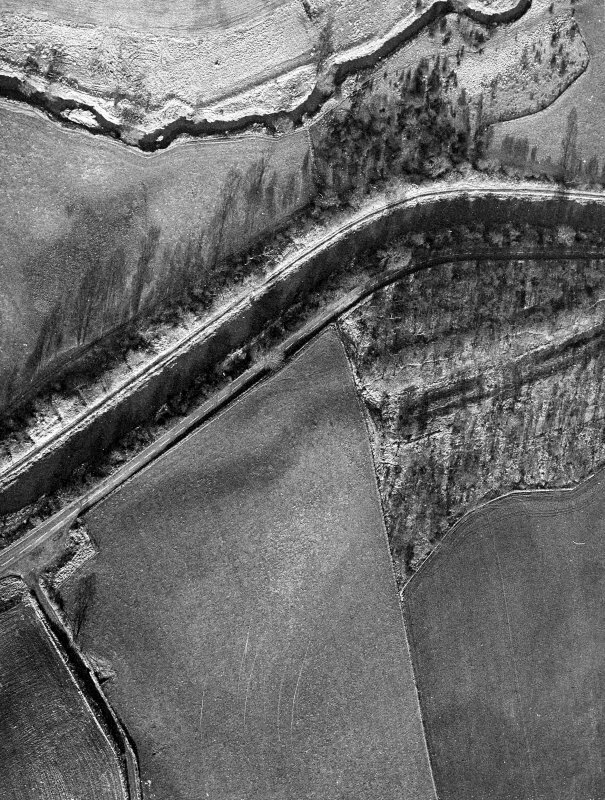 NS 815 793 A watching brief was undertaken by Kirkdale Archaeology of a small excavation within the scheduled area of the Antonine Wall, just to the E of Seabegs Roman Fort, on the 29th of March, 2001. The aim was to dig a small hole, to take a signpost, in a location already chosen by Historic Scotland just to the S of the Military Way (Figs. 1 & 2). 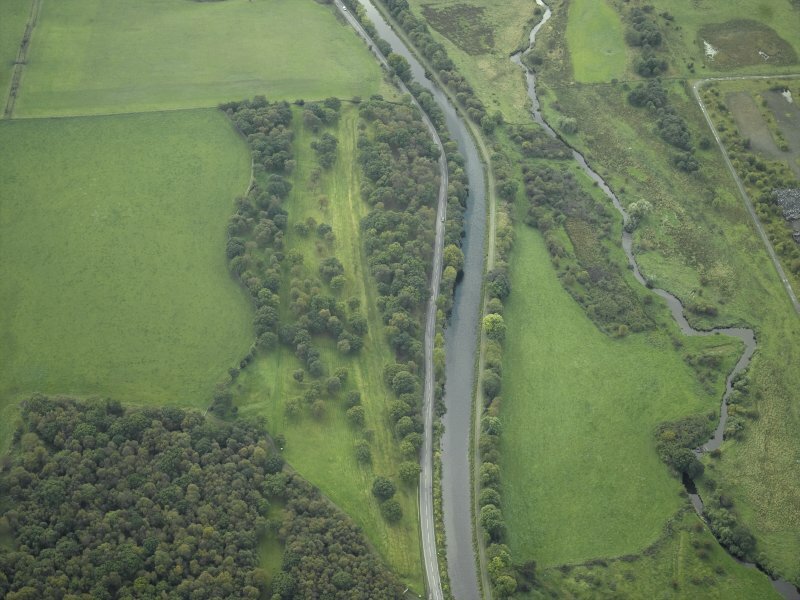 The Antonine Wall survives here, for a short distance, as an impressive upstanding monument, with the wall, ditch and its’ upcast, and the Military Way all clearly recognisable. This excavation revealed nothing of archaeological significance.